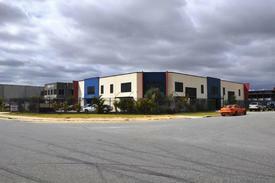 52 Commercial Real Estate & Properties in Wangara are listed in 4 categories. 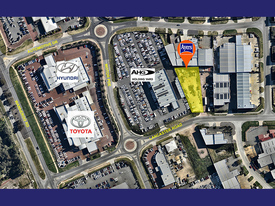 We have 64 Industrial Warehouses Lease , 9 OfficesLease , 3 ShowroomsLease and 1 Other Commercial PropertiesLease . 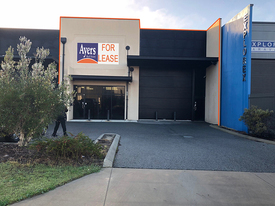 303sqm Office | Warehouse $30,300 p/a | Plus GST &a..
316sqm Street Front Unit | Great Location & Access | Pristine Unit $26,860 p/a | Nil GST | P..
199sqm Warehouse Plus 53 Sqm Rear Yard REDUCED $14,000 pa plus G..
448sqm Street Front | Office | Warehouse $44,000 p/a Plus GST &..
2 X 90sqm Street Front Offices $9,000 p/a each unit plus.. Affordable Workshop $1,630 per month inclusiv..
Prime Location - Fronting Gnangara Road $22,000 p/a Plus GST &..
Street Front | Stand Alone | Office | Warehouse $82,800 pa + GST + outgo..
399sqm Showroom | Warehouse High Exposure To Hartman Drive Reduced $33,915 p/a Plus ..
246sqm Office | Warehouse 246sqm | $24,700 p/a Plus..
351sqm Street Front | Office Warehouse | Mezzanine $29,000 p/a Plus GST &.. 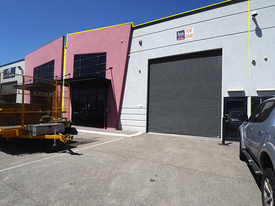 Leased - 230m2 Factory| Warehouse | Great Location $17,600 p/a | Nil GST | +..
Great Fit-out | Office | Warehouse With The Lot Great Fit-Out | $540 per ..
276sqm Street Front | Office | Showroom | Warehouse $26,220 P/A Plus GST &..